In the video on this page, expert and online Osteopath Tim Judd explains the triggers to upper back pain and problems, how the upper back functions and the reasons for discomfort and pain in men and women. Now that you understand what causes upper back pain and problems and how to prevent the most common back problems, it is time for targeted exercise to improve the range of motion. Click here for a sample of just one of the 12 Upper Back Stretches available to you. For immediate upper back pain relief from tension, or back stiffness and fatigue, go here for Essential Upper Back Exercises that can relieve stiffness and discomfort, or add to cart now. Learn about upper back pain relief and upper back joint pain relief through medical anatomy and 3D animation. What causes chronic back problems? What are the most common back conditions? What are the paraspinal muscles? How do they affect the functions of my back? 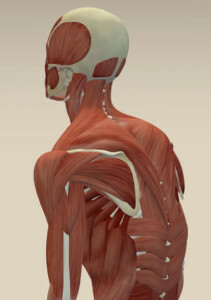 What is the relationship between your shoulder muscles and upper back muscles? What are the most common home, work and sport injuries? How do you stretch your back for pain relief and for releasing tension? One of the most common reasons for discomfort and pain in the Upper Back Zone is the forward stoop presentation. This increased curve in the upper back is created by many factors. Poor posture is a huge contributor. Many occupations encourage a prolonged forward stoop like clerical jobs or machine operators for example. Postural habits of teenagers, tall people, breastfeeding or inherited tendencies help create the forward stoop. The upper back has forward, backward and sideways bending, plus rotation. Apart from the paraspinal muscles down either side of the spine, the muscle groups are a little more obscure. The upper back is basically composed of the thoracic spine, the rib cage and related muscles. 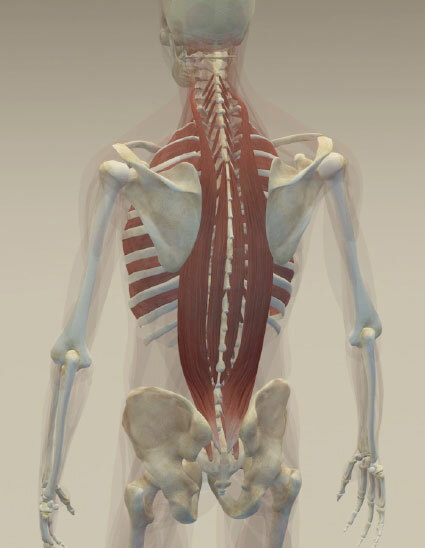 The erector spinae group or para spinals are a bundle of muscles running along each side of the spine. They go from the head to the pelvis. Additionally, the intercostals are a double layer of muscle between each rib. The shoulder complex drapes around the top of the rib cage and the neck and head sits on top. The spine is made up of vertebrae stacked on top of each other with a disc in between. Nerves exit between each vertebra. Between each vertebra there is also a set of joints, one on each side, commonly called facet joints. These comprise of two smooth cartilage surfaces, a capsule around the outside and fluid in the middle. These joints determine how each vertebra moves in relation to each other. Life’s episodes can jam up these joints by squeezing the fluid out causing the two cartilage surfaces to suction together, much like a suction cup that holds things onto windows or shower walls. The vertebrae then become jammed together and inflamed around the facet joint. This in turn irritates the nerves that are exiting, which then irritates local muscle tissue and anything else that the nerve may be supplying. This causes upper back pain and dysfunction. 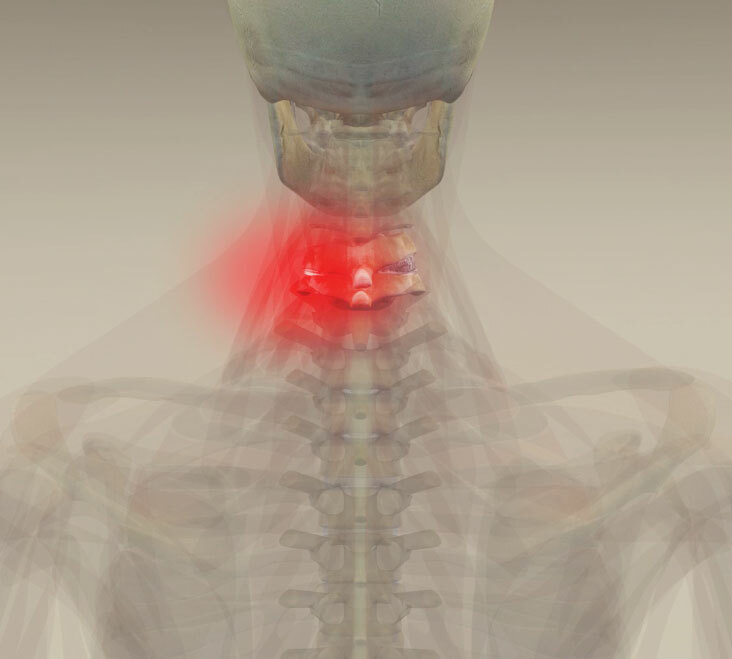 This is what is going on when you feel those little hot spots in your neck. So when your back or neck clicks spontaneously the two smooth cartilage surfaces that are suctioned stuck are separated and returned to normal function. The fluid rushes in and the joints can start moving freely against each other, allowing the inflammation to settle and returning you to good mechanical function. The stretching for the Upper Back zone is focused more on the directions of movement. It is common to have one or two vertebrae out of alignment in this region so it is very important you visit your osteopath and get these corrected. Then you can confidently carry on with the full Stretch for Life home program. To read more from Tim’s Blog click here. To check out Tim’s Auckland practice click here. For information about conditions that affect the Upper Back click here.